A food journal can be the most effective tool in the weight-loss arsenal. That is as long as the person keeping the journal is honest. "Studies show journaling along with a healthy diet, daily exercise and group meetings can actually double weight loss over those who don't journal," said Kimberly Batchelor, a dietitian at Onslow Memorial Hospital. "I think that is pretty significant." Using a journal when you begin a weight loss program helps you monitor what is being eaten. "For some people eating too much may be from lack of awareness versus lack of control," Batchelor said. "Documenting how much you are eating can really be an eye opener." The journal also helps track eating habits and behaviors. 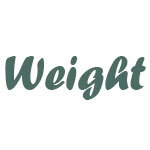 "If (not losing weight) is from lack of control, then writing down what you eat helps make you accountable. and that will hopefully give you better control," Batchelor said. "Keep track of what you eat, what triggers you to eat, what times you are eating so you understand yourself better." Onslow Fitness Center head trainer Shaun Jones agrees. "By keeping track ... you know what you are putting into your body and you can see how you are progressing ... so you can keep moving in the right direction," he said. Jones suggests a beginning journal should include measurements, weight, goals and an exercise plan; and he said results should be recorded after each workout. Jones said incorporating a variety of exercises into a journal plan is good for motivation and makes one more aware of the connection between diet and exercise. Batchelor recommends keeping track of the types and amounts of foods being eaten. Then she suggests looking at the entries and answering the following questions: Is the meal balanced? Are you eating too much of one food group? Are there a lot of processed, packaged foods or are the foods made from scratch? What cooking methods are being used? Putting down the times when food is consumed and how it makes you feel is important as well, Batchelor said. "That way it will show if you are skipping meals or are overeating at a later meal and it will show you the time spans between meals," she said. "How you feel when you are eating -- are you eating because you are hungry, bored ... because there was a party at work?" The journal itself can be anything from a notebook to a smartphone app to an online journal, Batchelor said. And for those overwhelmed by the thought of a daily task, she recommends journaling at least two weekdays and one weekend day. "And after three days, look over what you wrote and reflect -- see if there are areas you could make an improvement. Review the journal weekly after that," she said, noting that timing is important. "Write down your food intake immediately ... by the end of the day there may be things you have forgotten." All food, beverages, snacks -- even if only one bite -- should be included. "The most important part of journaling, to be effective," she said, "is to be honest." To see more of The Daily News, or to subscribe to the newspaper, go to http://www.jdnews.com. Copyright © 2011, The Daily News, Jacksonville, N.C. Distributed by McClatchy-Tribune Information Services. For more information about the content services offered by McClatchy-Tribune Information Services (MCT), visit www.mctinfoservices.com.